The imprints need to be selected keeping the color scheme in mind. A dark imprint might not look aesthetically appealing on a darker product and similar thing goes for a lighter one. However, your choice of imprints would be the final one and our team does not interfere with the same. We recommend you to select the imprints very carefully. We have good range of custom colors where you can decide the best color as per your requirement. The delivery time for any order can be selected by you while checking out. The manufacturing, printing and delivery of the products would be carried out as per the date you need them by. Customer will have the calendar available at the checkout to determine the timeline. We also offer Saturday delivery date if that is available as per your address. Standard Production vs Rush Production? If you want your products to be produced in the exact specified time then you must select rush production be-cause in that we guarantee the production time. However, if you select standard production then the production depends upon our capacity level and the time for production may exceed the specified time. Shipping time is shortened in case the production time is lengthened by our team at our expenses. Easy way to upload the artwork/logo on our step based( Step7) order now page. You can also email us the logo/artwork after placing the order at [email protected] and mention the order number in the subject line or send the logo on chat. We wish to give you unique shopping experience with ease of order. Will I get proof after placing the order or before placing the order? The best part in our company is digital proof which is absolutely “FREE” which is sent within few hours after the order is completed and one can request unlimited revisions. We make sure our customers are fully satisfied before we start the printing process. Previews of the orders are available on order now page if in case its standard logos from our options. If in case you need your own artwork or logo; in that case our designers will resize and place it on your lanyards selections and email you after your order is completed. But kindly note sooner you approve the proof faster we can start production to meet deadline. The artwork must be submitted in image format - JPEG, AI, EPS, PDF, or PNG.. In case you are uploading the design then high quality vector files are recommended to be uploaded for better printed finished product. However, JPEG, PNG and GIF files can also be uploaded for the same. The customer needs to seek permission for any copyrighted product before submitting it as we would not be held responsible for any kind of copyright infringement. We cannot be held liable for printing any copyrighted trademark, logo or design. Shipping method used by our company? Our primary shipping partners are FedEx , TNT, DHL,UPS and for most free shipping options we partner with the USPS. Feel free to contact us through phone, chat or email drop in your previous order number and we can process the order and we will send you a payment link to make your experience hassle free or you can just mention the previous order number in the special comments ”exact repeat of order number” while placing the order online on the order now page and rest leave on us. 2.12"x3.38" 2.75"x3.94" 3.15"x4.72" 3.54"x5.12" 3.94"x5.51"
INP-11: 2.12" x 3.38" INP-12: 3.38" x 2.12" INP-21: 2.75" x 4.13" INP-22: 4.13" x 2.75" INP-31: 3.15" x 4.72" INP-41: 3.54" x 5.12" INP-51: 3.94" x 5.51"
If You Have Special Color Requirement Please Mention In Comments. Don't Worry. 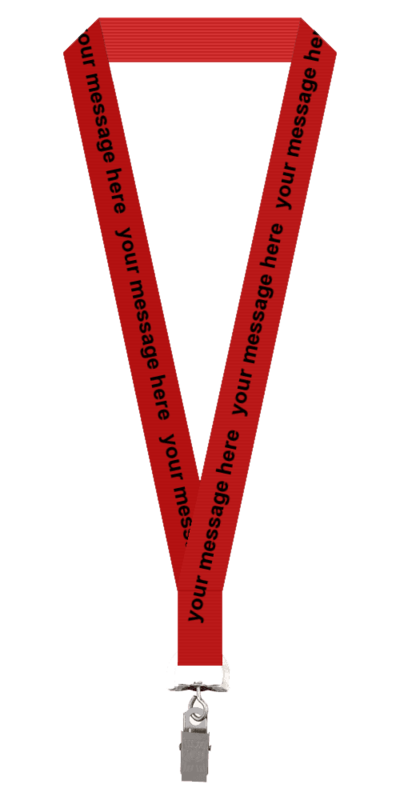 Before We Start Your Order We Will Send a Free Visual Image of Your Customized Lanyard. Note: This is just a sample preview. Art Team will review your order and send a final design for review before production starts. If any special requirements then you can mention in comment section.